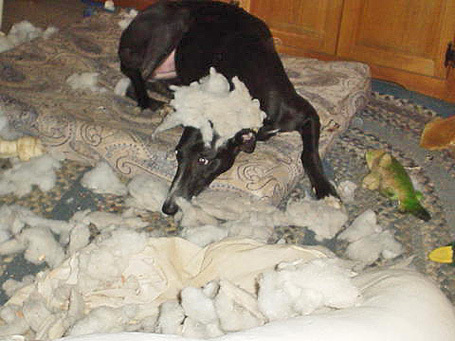 Greyhounds express their anxiety in a multitude of ways, some mild and some life-threatening. You may have a dog that barks constantly when you are gone, arousing suspicion among your neighbors as to what exactly is going on in your house. Your dog may go to the nearest door and start munching away at either the framing work, the molding or even the door itself. It may scratch at the door until it's paws are bloody. You may think putting them in a cage will solve the problem. 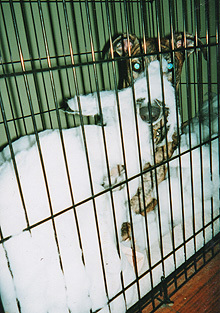 Often, that will work, but other times they will do whatever they can do to get out, which might mean destroying the cage. They will dig, bite and/or pull until they have gotten out. There are many ways to deal with separation anxiety but you cannot just push a button and make it go away. 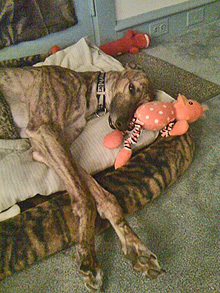 Exercise your greyhound before you leave each day so that the dog is tired. In the first few weeks, leave for short periods of time and coming back frequently to check on how they are doing. Keeping the radio or television on or giving your dog a marrow bone are all some of the ways you can deal with this without using medication. 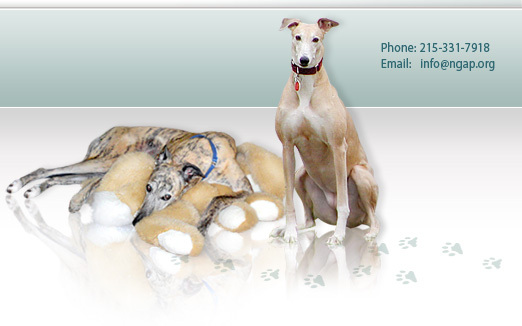 When we first started adopting greyhounds, we would frequently use a drug called Amitriptyline to treat anxiety. The human equivalent is called Elavil. We generally start with a high dose and, as time passes and the dog begins to improve, we can hopefully reduce that dose to zero. 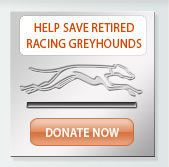 There have only been a few greyhounds over the course of the last 20 years that have been on Amitriptyline for life. 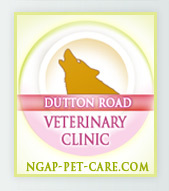 The owners found the appropriate dose to keep their dog happy and kept it on that dose forever. Amitriptyline is not a very expensive medication since it is a generic. We normally dispense it in small counts of a hundred tablets but thousand count bottles can also be purchased. There are also other medications available for anxiety but, in my experience, none of them give you the ability to very slowly wean the dog off of the medication and many are much more expensive. Compare prices for Clomicalm with Amitriptyline and you'll see what we mean! The reason I am writing about anxiety is because we were recently contacted by a greyhound owner whose dog began suddenly exhibiting anxiety related issues after several years in his home. 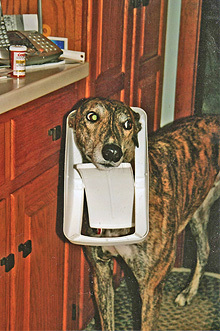 Greyhounds are creatures of habit and get used to very particular time schedules and routines as well as people. If you change the time that you come and go, if a child leaves the home, if you lose your job or get a job or even get divorced, this will disrupt the normal flow of things and can send your dog into a tailspin. When this particular dog was placed on the amitriptyline, his behavior improved significantly. Amitriptyline is a prescription medication and you would need to consult with either us or your local veterinarian in regards to its use.